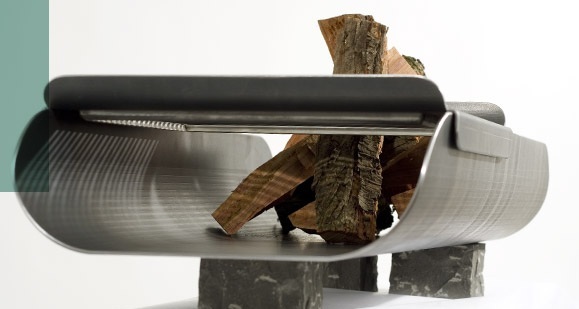 The German design duo behind the company Möbel Liebschaften have recently been awarded with the highly esteemed red dot award for their keen approach to reduce a grill to its design minimum whilst maintaining a high visual appeal and functionality. 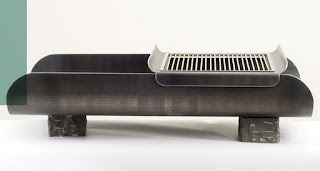 The minimalistic result was dubbed the Langgrill, an unique symbiosis of an easy to clean stainless steel grill that gently lies on an oxidized steel fire tray with a mellow patina, sitting enthroned on three cubic basalt stones. The stainless steel grill plate describes this grill’s particular functionality, as it offers to be dragged from side to side to switch between quick searing blazing flames and gently cooking embers for the balanced broiled dinner.